Ram Viswanathan: Where is this in Chennai? Where is this in Chennai? We generally find 'beware of dogs' sign in residential areas.. but this in a residential area in Chennai? What's your guess..? 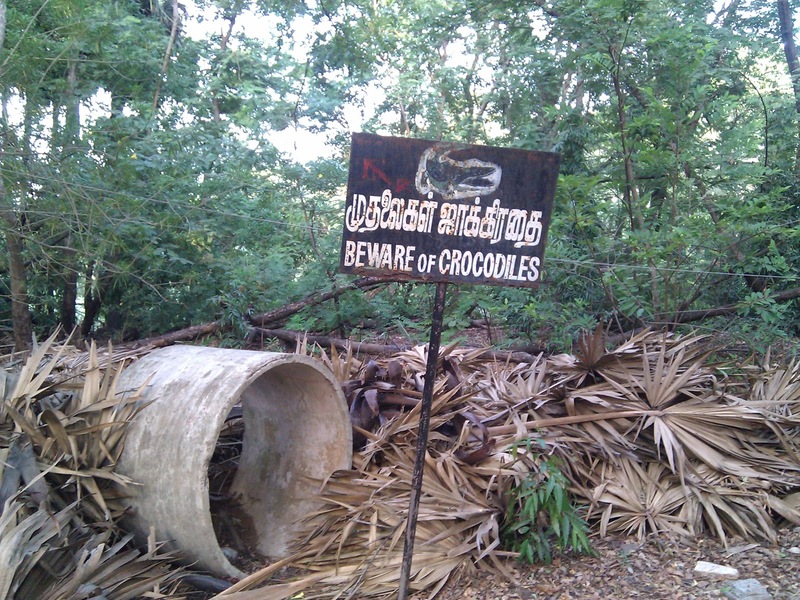 Crocodile park on ECR in Chennai?! Ram, this must be in IIT, Madras. Remember having seen this sign almost 15 yrs back when I was a student.